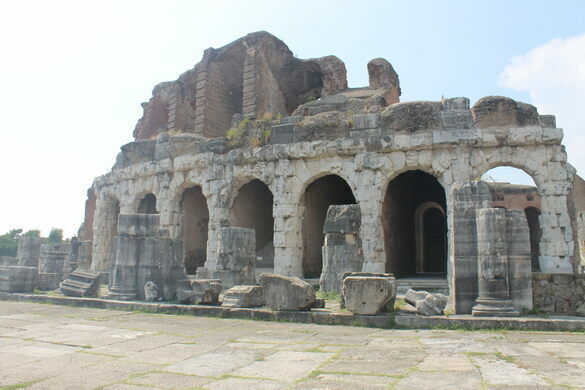 The ancient city of Capua was one of the most important cities in Italy during the epoch of the Roman civilization. Here, Anfiteatro Campano—the first of many Roman amphitheatres—housed the first gladiator school, starting a tradition that became a symbol of the Roman culture. 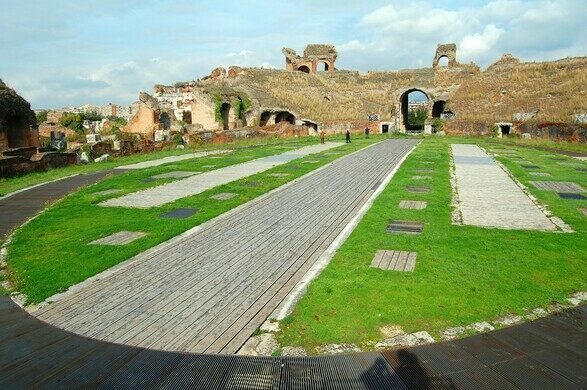 With a wide elliptical shape, measuring 170-meter-long major axis and a 139-meter-long minor axis, this is the second biggest amphitheatre ever built by Romans, behind only the Colosseum, which was itself modeled on Anfiteatro Campano. It was divided in four levels, with a total height of 46 meters and it was decorated with numerous statues. Probably built in the 1st century BC, it was restored many times in the following centuries. 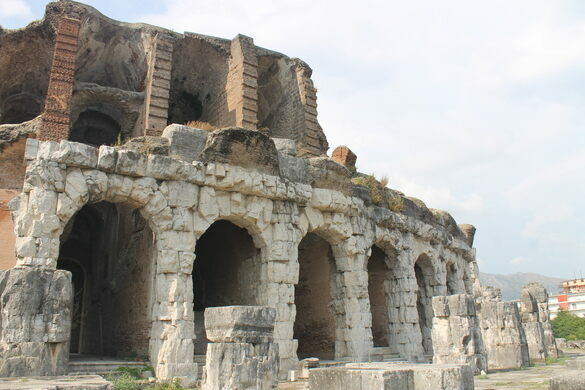 After the fall of the Roman Empire, the amphitheatre was damaged by the Vandals and later destroyed, along with most of the city of Capua, by the Saracens. Later the ruins of the amphitheatre were used as a quarry of marble for the construction of the new Duomo and the Lombard Castle, but also many other buildings in the new nearby town established after the destruction of Capua. Only during the 18th century, the amphitheatre was declared a national monument and the depredation stopped. 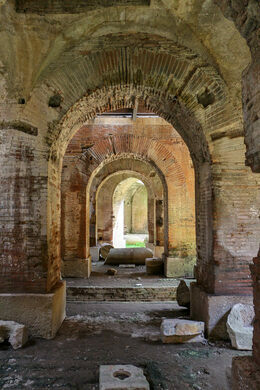 Anfiteatro Campano was also the site of the first and most famous gladiator school. Here in 73 BC, the famous rebellion of Spartacus took place, with over 70 slave-gladiators escaping from the school and later defeating the Roman army sent to capture them. This event sparked a two-year war between the rebel slaves and gladiators, that gathered an army of 120,000 men, and the Roman Republic. Ultimately the rebellious army was defeated, but the events of the war influenced Roman politics for centuries. The Anfiteatro Campano is located on the Piazza Adriano. Admission tickets start at $4.64 USD and private tours start at $76 USD.